When we first started working on our Winter Issue, naturally we looked back at 2017, and what an unnerving whirlwind year it has been. A nation politically divided, a sea-change movement for women, immeasurable global stinky-doings, worldwide transitions in print media, napping nukes in North Korea looming over our heads--but also 2017 was a year full of emerging and iconoclastic artists that are already shaping the new year ahead of us--and Rogue is excited to feature some of them in our big year-end issue. DANAI GURIRA, star of Marvel's upcoming Black Panther, and the fearless female pack leader of The Walking Dead, is no exception. Moonlighting as a ferocious warrior on both the small screen, and now the big screen, Gurira’s talent has earned her a galactic fanbase that is about to explode even further when Panther releases. Marvel has set out to accomplish something with the modern black superhero that previous iterations have fallen short of doing--making a film that marks a new opportunity to remind us of who we collectively are. Among our covers, we showcase two other young actors from the MCU. EVAN PETERS, who depicts scene-stealing fan favorite Quicksilver in the recent X-Men franchise, and GREGG SULKIN, who stars in Marvel’s latest hit series, The Runaways. We’re additionally excited to have Jared Leto's record-breaking band THIRTY SECONDS TO MARS on our cover. As an ultimate chameleon / mainstream disruptor, Leto has always been about enacting change and raising social awareness, and TSTM’s latest #1 single and upcoming documentary ‘A Day in the Life’, tackles what it means to be an American in this current branched landscape. 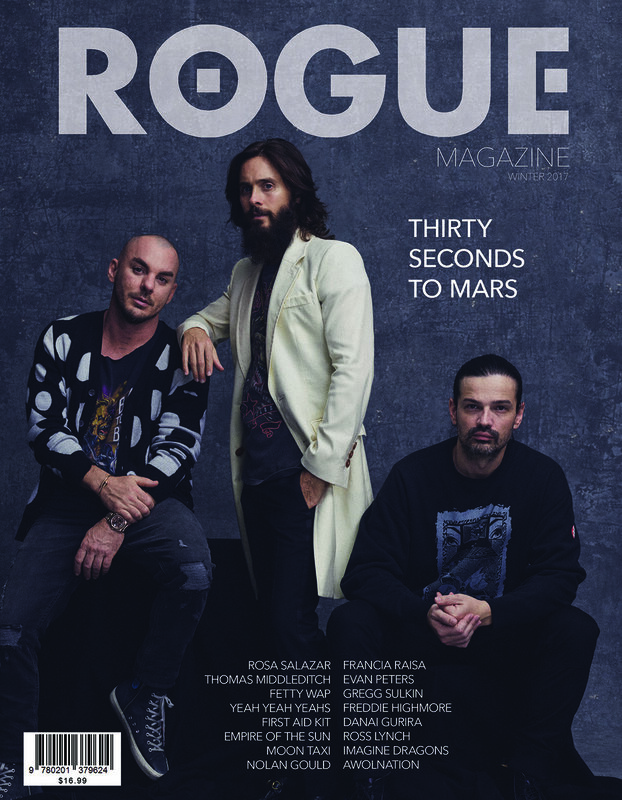 Rogue got the exclusive on their upcoming fourth album before any other publication. 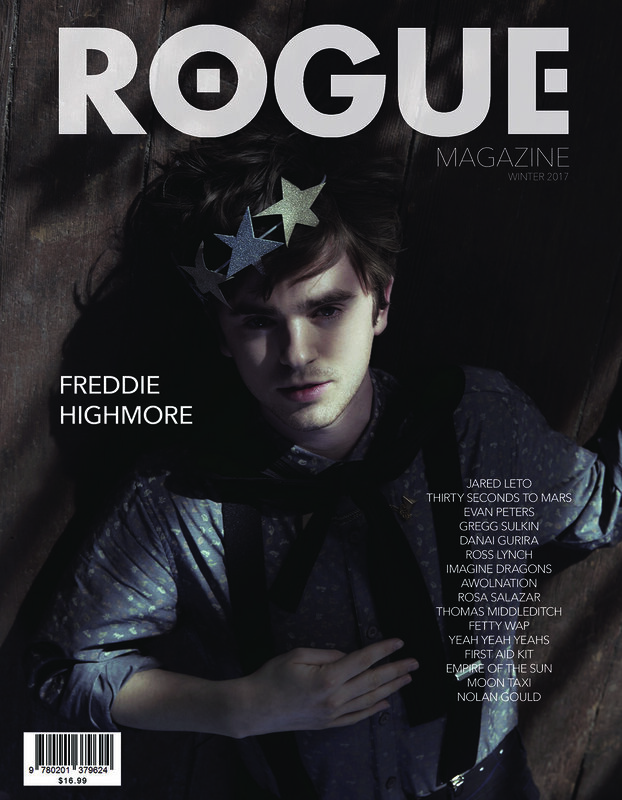 Our final Winter cover features breakout star FREDDIE HIGHMORE, whose latest show, The Good Doctor, emerged as the number 1 drama on network TV this year and landed him a Golden Globe nom for Best Actor. Another addition to his already impressive 13 award wins and 27 nominations, all by age 25. 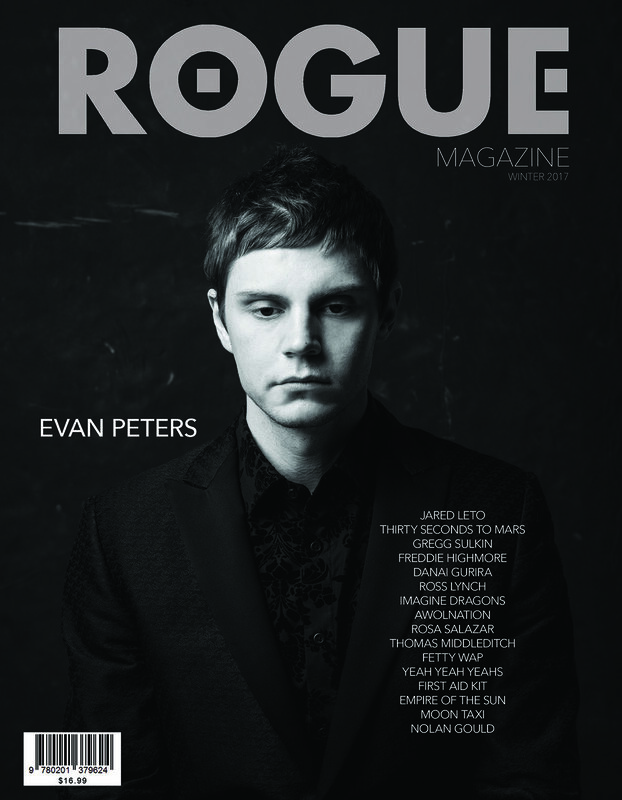 In addition to our radical cover stars, we’re able to include some of this year’s most inspiring and disruptive artists, including both breakthrough actors, underdogs and musical mainstays like Yeah Yeah Yeahs, Imagine Dragons, Fetty Wap, AWOLNATION, and Empire of the Sun, all of whom helped shape the current and future climate of music. Some of favorite upcomers Barns Courtney, Moon Taxi and First Aid Kit. Also featured inside our Winter Issue are Rosa Salazar, star of the James Cameron/Robert Rodriguez flick Alita: Battle Angel --Ross Lynch from My Friend Dahmer, Grown-ish star Francia Raisa, Modern Family's Nolan Gould, Silicon Valley's Thomas Middleditch, Kingdom's Jonathan Tucker, Alone Together's Esther Povitsky, Reverie's Sarah Shahi, Altered Carbon's Dichen Lachman, hotel scion Barron Hilton + much more in film, fashion and culture. ORDER YOUR COPY NOW BEFORE IT HITS STANDS JANUARY 15th!